1. Preheat the oven to 375F. Line a baking sheet with aluminum foil. 2. Mince the garlic and remove the thyme leaves from their stalks. Season the salmon on both sides with salt and freshly ground black pepper. 3. In a bowl, whisk together the honey, garlic, olive oil, white wine vinegar, and thyme until well mixed. 4. 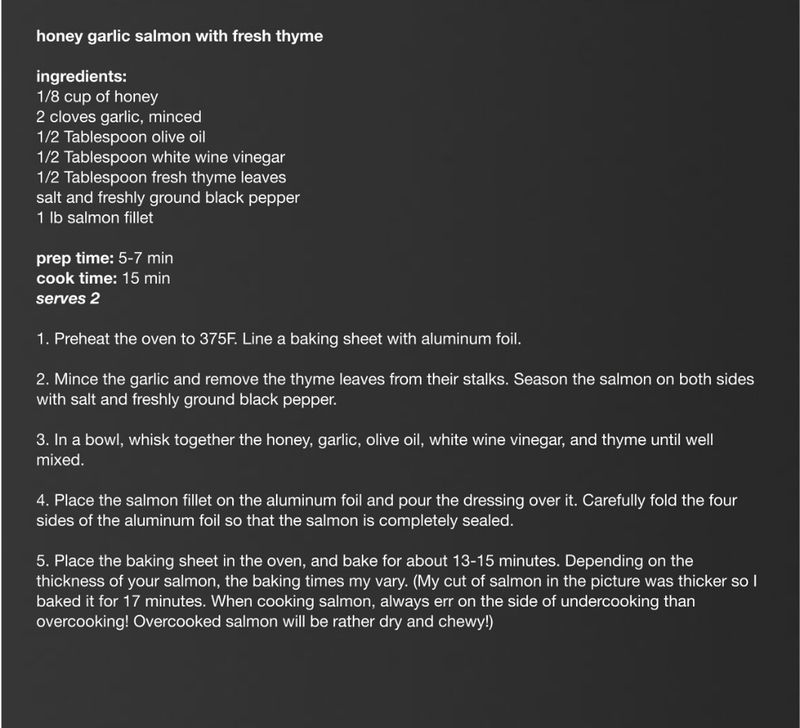 Place the salmon fillet on the aluminum foil and pour the dressing over it. Carefully fold the four sides of the aluminum foil so that the salmon is completely sealed.